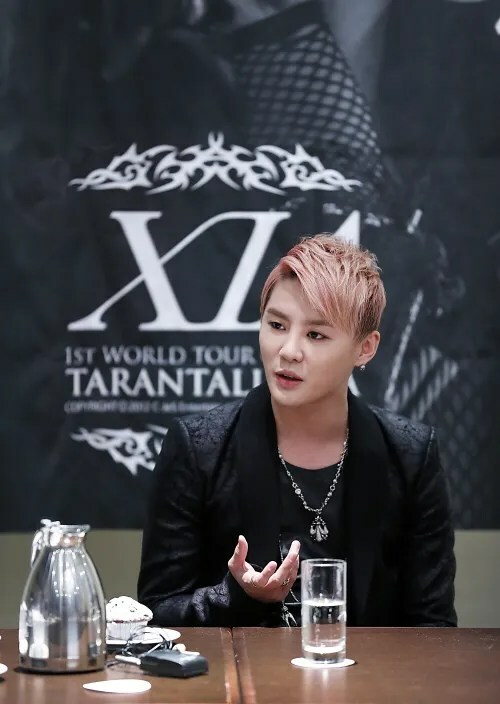 Prior to his solo performance in Germany on the 30th, JYJ‘s Junsu sat down for a press conference where he revealed that the group will release a new album in 2013. Junsu is currently traveling around the world as part of his solo world tour, with performances in 12 cities around the globe. Junsu revealed JYJ’s plans of releasing a new album. On December November 29, a day before his exclusive concert at the Turinenhalle in Oberhausen, Germany, Junsu held a press conference at a hotel. During the press conference, Junsu revealed that JYJ is aiming to release a new album next year.